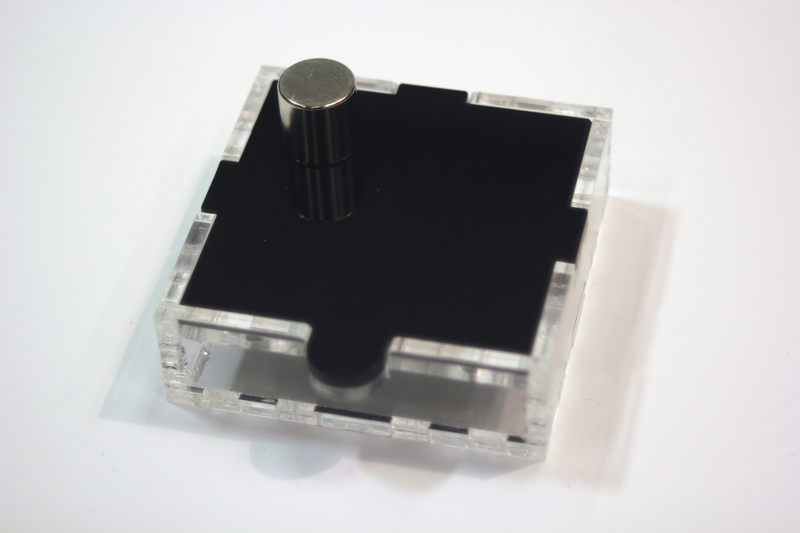 Tangible User Interfaces (TUIs) represent digital information via a number of sensory modalities including the haptic, visual and auditory senses. We suggest that interaction with tangible interfaces is commonly governed primarily through visual cues, despite the emphasis on tangible representation. We do not doubt that visual feedback offers rich interaction guidance, but argue that a greater emphasis on haptic and auditory feedback could support (or in some cases be a substitution for) vision in situations where vision is distracted or impaired. We have developed a series of simple TUIs that allow for the haptic and auditory exploration of visually hidden textures. Our technique is to transmit the force feedback of the texture to the user, via the attraction of a ball bearing to a magnet that the user manipulates. This allows the detail of the texture to be presented to the user while visually presenting an entirely flat surface. The use of both opaque and transparent materials allows for the texture visibility to be controlled for comparative purposes. The resulting Feelable User Interface (FUI), shown in Fig. above and video below, allows for the exploration of various textures and structures, with respect to their usefulness for haptic guidance. 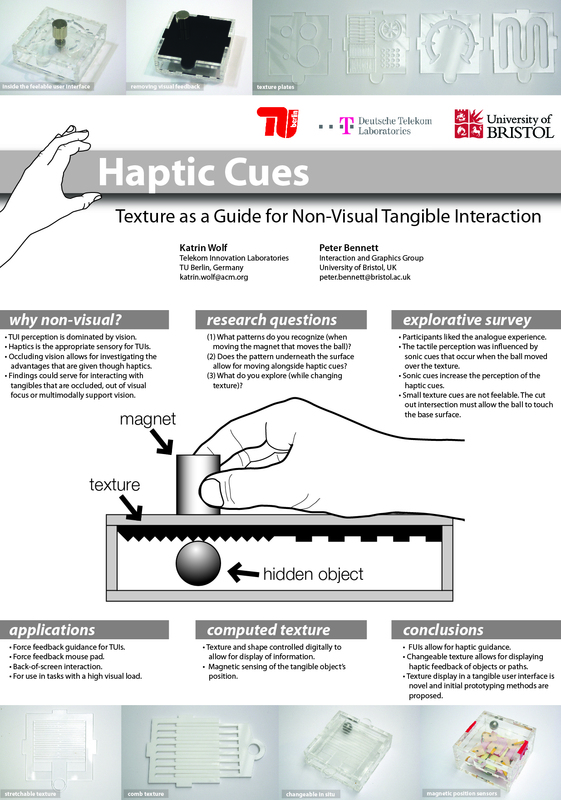 The findings of our haptic exploration provide us with a basic understanding about the usage of haptic cues for interacting with tangible objects that are visually hidden, or which perhaps are in the user’s visual periphery. This project is a collaboration with Pete Bennett who is a researcher at Bristol University. © 2012 – 2019 Katrin Wolf.